1) If possible, please email us some pictures of the bamboo and include close-up pictures of the lower and upper portions of the canes and pictures showing the entire bamboo removal area. If you know what kind of bamboo you have for removal please include that information. 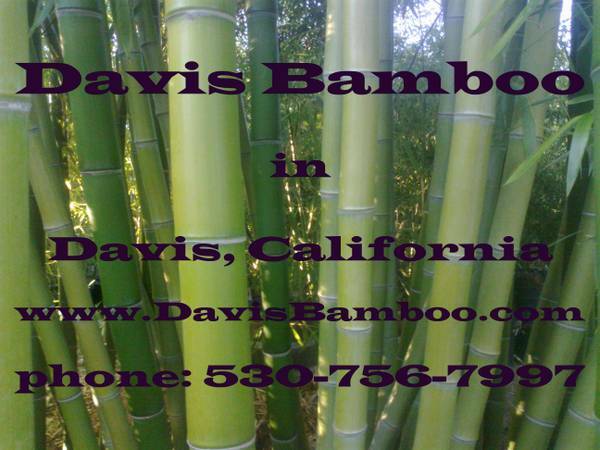 Email us the pictures at Bamboo@DavisBamboo.com and please provide a phone number. After we get your email we will call you and talk about what is going on with the bamboo removal and what work you would like done. The images and information about your bamboo removal job will give us some idea of what will be involved and will assist us towards the goal of having a productive first phone call with you to talk about your concerns. In most cases we will schedule an on-site consultation during this phone call. If you are unable to email us pictures and/or if you don't know what kind of bamboo you have please call us to schedule the on-site consultation. 2) During the on-site consultation we will inspect the area to determine what is going to be involved in doing the bamboo removal. We will talk with you about the methods that can be used to achieve your goals and determine the work for which you would like to have formal quotes. 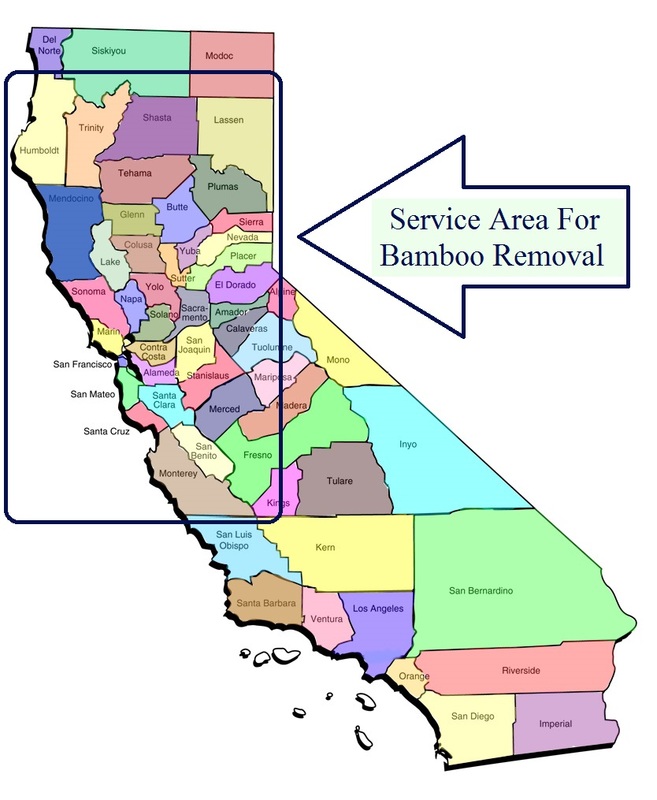 Within 4 business days we will provide you with flat-fee quotes for bamboo removal or other requested quotes (i.e. rhizome barrier installation). There is a fee for the on-site inspection, usually $100-$250, depending upon your location. The cost of the on-site inspection can be used as credit towards the bamboo removal service. We may be able to provide a less expensive on-site inspection if you email us the pictures and information requested in part 1. 3) When we remove the bamboo our team of insured professionals will arrive in the morning and in many cases we can complete the job in one day. Large jobs take longer than one day. We hope to hear from you and look forward to assisting with your bamboo removal project.